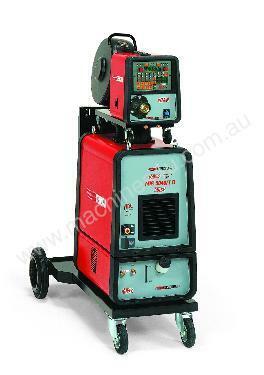 Inverter based 500 amp, power source for MIG/MAG, DOUBLE PULSE, Stick and DC TIG (with Cebora lift ignition) welding. 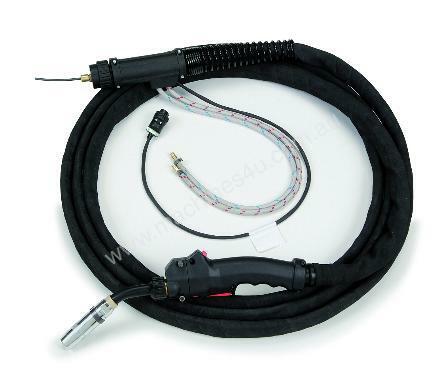 Comes with control panel, wire feed unit with 4 roll aluminium wire feed block, cooling unit, trolley for transportation of the power source, 10m extension lead between power source and wire feeder, MIG torch, gas regulator and earth cable (3.5 m. - 95 mm2)and clamp. 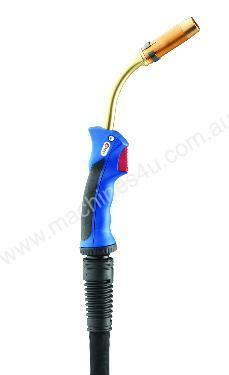 Optional Water cooled MIG welding Push-Pull; up/down torch.